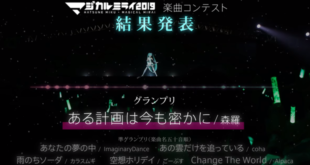 Home / News / Merchandise / IA English C and Kizuna Akari nominated for the 30th Vector ProRegi Awards! IA English C and Kizuna Akari nominated for the 30th Vector ProRegi Awards! 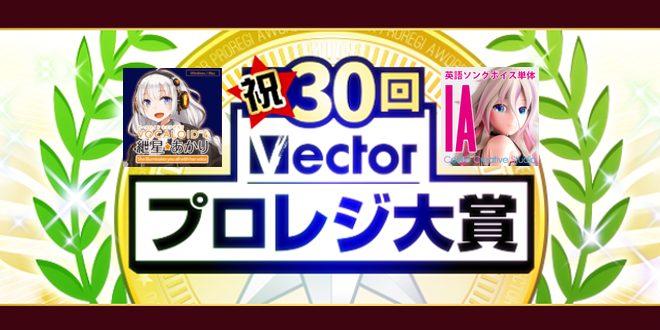 IA English C and Kizuna Akari have been nominated for the 30th Vector ProRegi Awards! What are the Vector ProRegi Awards? The bi-annual Vector ProRegi Awards are held to decide which downloadable software on the Vector shop is the most popular, with the Grand Prize winner being decided by public vote. The nominations can only go to products which were released in the same half of the year as the awards are being held. The voting period is from 15:00 on Thursday July 26th, 2018 – 15:00 on Thursday August 9th, 2018. The Grand Prize announcement will be held on Thursday August 16th 2018. Please note that, although you can vote for more than one software product, votes on the same product will only be valid once per person. During the campaign period, you can vote for your chosen synth and you can also purchase them at a special discounted price. IA English C is available at the special price of 7290 JPY (approx 65 USD). VOCALOID 4 Kizuna Akari is available at the special price of 7776 JPY (approx 70 USD). 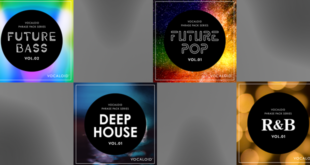 For more information on how you can vote or purchase the synths at their special prices, check out the guides below. To vote, click on the green button next to the synth you want to vote for. On the next screen, there will be a confirmation message and a short form to fill in. 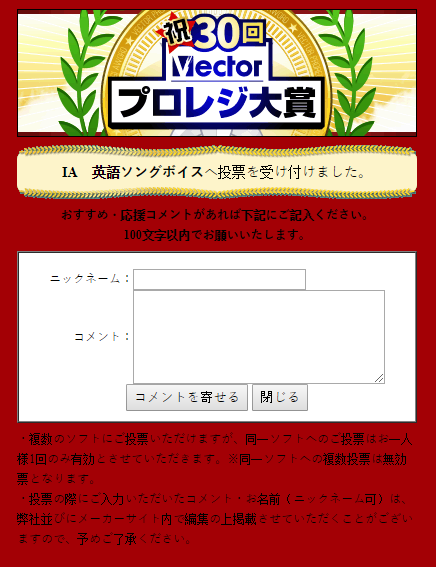 You can submit your nickname in the first field, and a comment with a maximum of 100 characters, in the second field. To submit your nickname and comment, click the left button. Please be aware that the company may post the nickname and comment you entered publicly to their site. You can get your chosen synth at a discounted price from here by clicking the red button next to the synth, which will take you to the catalog entry for the synth you have selected. 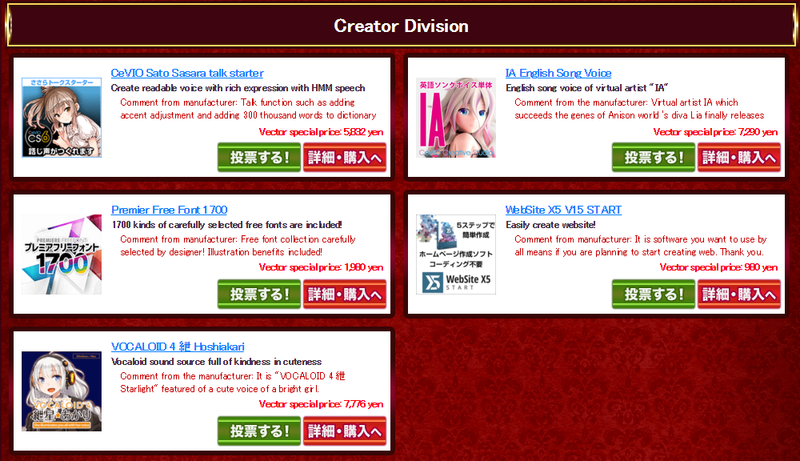 Alternatively, you can visit the PC Vector shop directly and search for the product you wish to purchase. To add the item to the cart, click the yellow button with the blue basket icon. 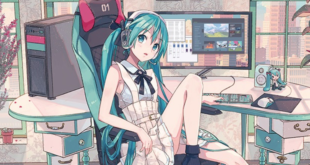 Next Miku Expo 2018 Europe theme announced!